Occasionally you will hear each of these phrases interchanged, but it is important to understand the difference between the two. Your credit report is actually a detailed history of your credit information. It will contain current credit information, balances, delinquent payments, bankruptcies, personal identifying information and inquiries. Your credit score is a three-digit number that is based on the information in your credit report. After taking into account all aspects of your report a mathematical formula is used to determine what your score should be, the higher the better. Whether you are insuring your vehicle to purchasing homeowners insurance, your credit score will likely play a role in determining your premium. Insurers typically create what is called an “insurance score” that is largely based on your credit score, but with a few different factors. A poor credit score can cost you hundreds of dollars in additional premiums each year while a good credit score can actually qualify you for a discount. Employers Can Check Your Credit score. An increasingly common and somewhat controversial practice is taking place as employers check the credit of prospective new employees. The argument for doing this is that employers believe they can use credit history to determine responsibility. Clearly, there are situations where a bad credit history may be due to something completely out of an individual’s control, but this is still something to keep in mind. You may have to pay to get your credit score and/or a complete credit history, but it will be worth it and could be the difference of you getting that loan or mortgage you are hoping to get. The below is helpful advice where you can check and how to improve your score. 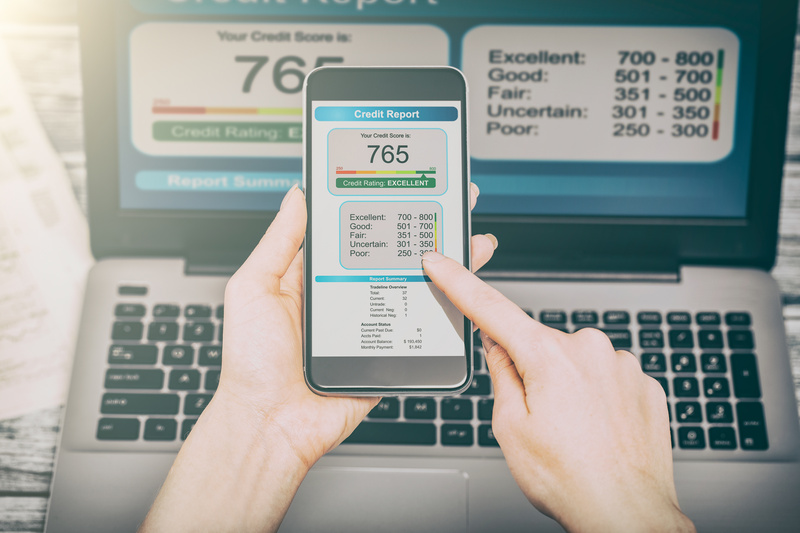 Your Experian Credit Score is calculated to give you an accurate idea of how you’re doing financially, and it is based on the credit report, which most banks and financial institutions use. There are many ways of improving your credit score, some as simple as registering on the electoral roll. Making payments on time and not opening new credit accounts will also make a big difference. The best way is to regularly check which score factors are affecting your credit report. Look for the score factors increasing your credit score, learn what you’re doing right, and keep on doing it. Find out which score factors are decreasing your score, and follow our tips to correct them. What Score Factors increase my credit score? Make sure your current address is registered on the electoral roll and your credit score will increase. Make all payments on time and in full and your credit score will quickly increase. If you have any outstanding payments, pay them off first. The older your credit accounts get the more they increase your credit score, so if you’ve got older accounts, it’s a good idea to keep using these if you are able to, and avoid opening too many new accounts at the same time. Staying well below your agreed credit limits will increase your score (e.g. if your credit card limit is £1000, try to keep the balance below £500). The bigger the credit limit on a single credit card, the more your score will increase, so aim for one credit card with a big limit, rather than lots of cards with smaller limits. Keep the total amount you owe across all of your credit accounts (excluding mortgages) below £15,000. Paying off any one of your credit accounts will reduce your total credit balance and increase your credit score. Paying off any one of your credit accounts will increase your available credit and increase your credit score.